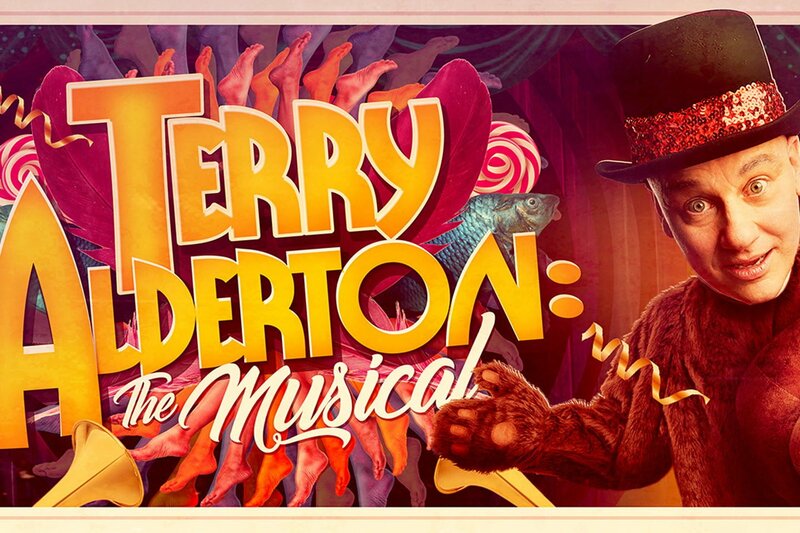 ‘Terry Alderton: The Musical’ is an extremely fast paced stand up performance. 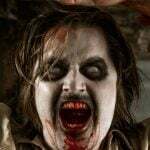 His impact is immediate, providing all the physicality associated with this over bearing but talented performer, with highly timed sound inserts, supported by Terry’s strong ability for voices and for the visually absorbed. His legs in the air, Terry’s feet begin a conversation with themselves like two well controlled puppets. The face is as expressive as his body, getting laughs with just a look or a glance. 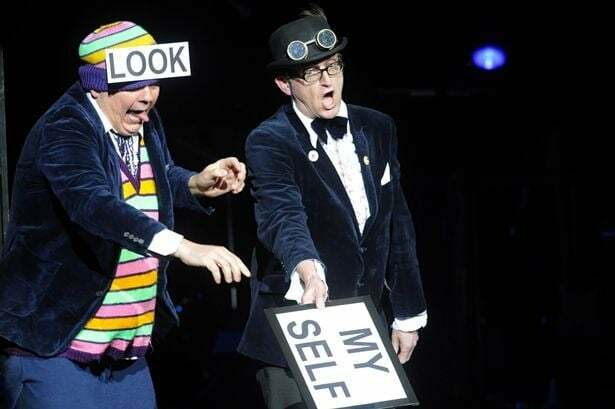 At times Alderton can become to manic and loses control of himself, but creates imaginative and fast show, with a surprising ending more in tune with a Paul Daniels stunt than stand up but underlining a highly entertaining hour when worked at its best. There was something rather irritating about Jeremy Nicholas: ‘After Dinner Stories From My Disastrous Broadcasting Career’. This sometimes smug and not outwardly funny speaker used two running catchphrases’ throughout, claiming to be the 11th most famous Jeremy at the BBC – and naming the people he’s worked with who have surpassed him, such as Chris Evans, Mel & Sue and the guy off ‘Homes Under the Hammer’, ringing a little bell to signify the disappointment. Fame means everything to this Jeremy. But the self-deprecating humour doesn’t work with a face full of public school arrogance. The stories were interesting and served as a good vehicle for understanding how sports radio works behind the scenes. 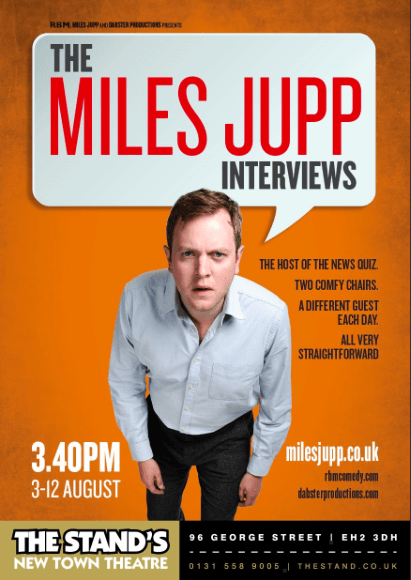 Miles Jupp another public-school boy shows us how humour from his background can work. The talented wit interviewed a series of guests at the Stand – one being ex-cricketer and pundit David Gower who went through the highs and lows of his career in typical Gower style. Including the controversy between him at Graham Gooch on an Ashes tour. It is a shame Miles didn’t perform longer at the top of the show, which many of his admirers would have liked. Moving almost next door to the Assembly rooms – Mark Steel – ‘Every Little Thing’s Gonna Be Alright’ provided his late-night biting satirical humour by getting the Scots on side straight away with his views on independence. He then proceeded to take us on a journey through with all the latest issues that irritate, this fierce and sometimes bitter performer. The writing and observations are excellent. although unashamedly left, Steel spreads his comedy targets around on May & Corbyn, not letting anyone off the hook, including his past wife. 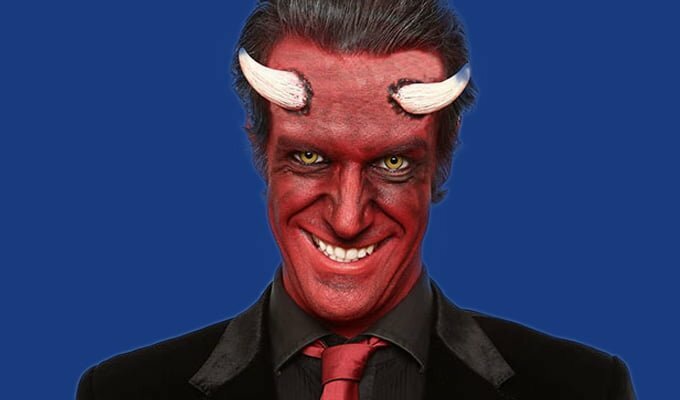 Marcus Brigstocke: ‘Devil May care’ is an ever green at Edinburgh, who performed his show in the character of the Devil with full make up and attitude. This was a clever device as it allowed Marcus to deliver his satirical comment from a different prospective, although fans of Brigstocke will recognise the writing style. The performance itself was excellent keeping in character throughout, poking fun. setting up the hypocrisy on May, Corby and Trump. Lucifer tells us being ‘Gay’ is no longer a sin, but eternal punishment is now meted out for making grammatical slips, breaching tea-making etiquette and putting your bag on a chair on a busy train. Coming up with a new show each year is a pressure. Brigstocke must be commended for trying something new to deliver his quick witted satirical approach to comedy. 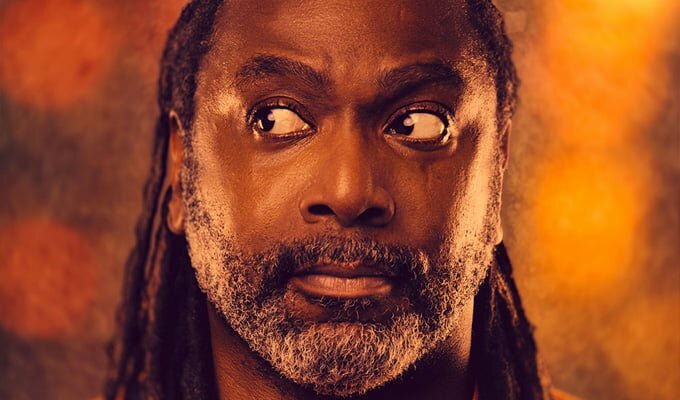 Reginald D Hunter: An American Facing the Beast and Niggas’ continued his laid-back cool attitude, maintaining a permanent position on stage while delivering some controversial but poignant material which received both oohh’s and laughs. 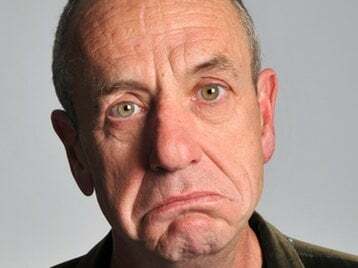 Arthur Smith created a charming show based around the life of his father ‘Syd’ a former Policeman, prisoner in Colditz and solider at Al Alamein. 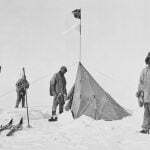 The story was interwoven with musical song of the period, with Arthur’s gravelly voice well supported by two excellent singers Kirstie Newton and Ali Day known as the ‘Smithereens’. Smith’s appearance, attitude and script is never self-indulgent but more endearing of the truthful relationship between father & son, depicting life in the fifties. Raymond & Mr Timpkins have been an ever present on the comedy circuit for nearly twenty years, yet this was their first Edinburgh fringe performance. The guys taking the opportunity to display their highly effective visual interpretation based around musical puns with both hands, as signs are miss interpreted and meaningless posts become comic reality. A very original concept which has been appreciated by audiences up and down the country. It takes time to fully tune into where these two controlled madcap lunatics (namely Andy Heydon and Tony Salmon) are coming from, but once the pair succeed in bringing you into their comedy world, the laughs don’t stop with only the occasional person sitting baffled to what is going on. Think Chuckle brothers meets a radio DJ. 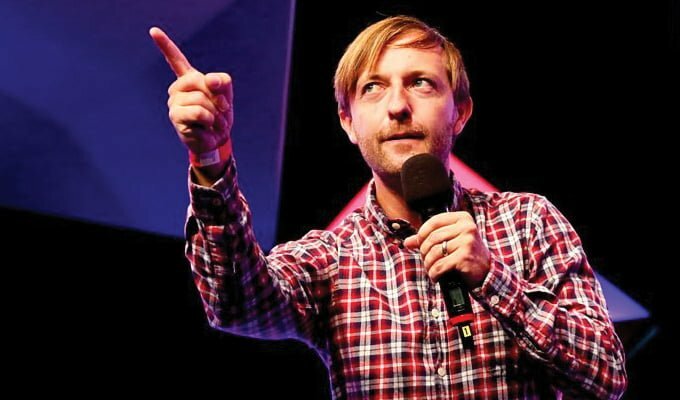 Underrated comedian Andrew Maxwell: ‘Shake a Leg’ gave a mixture of satirical opinion such as Brexit -the Irish border, Trump, fake news, then moved easily to storytelling concerning his adventures and actual characters he met while recording a documentary on conspiracy theories for BBC radio. Maxwell looks comfortable as social commentator and anecdote teller with a delivery that at times has aggression but at others is laid back and quiet. Marilyn: The Conspiracy is a drama based around the mysterious death of Actress Marilyn Monroe. Here the authors gather all the potential suspects who were allegedly there on the night in Marilyn’s front room, minutes after she has passed away, as we eavesdrop on their conversation to cover up her death. Hercule Poirot it is not, but a possible scenario to what could have occurred. Having personally read two books and seen countless documentaries on the case, it is not easy to bring to the stage. The writers have certainly completed their research but the script at times is a series of facts and timings which make some of the performances rather wooden apart from Suzie Amy who shines as Pat Newcombe (Marilyn’s Press officer). A different treatment of the subject may have worked better, but anyone not knowing the story of her death will be intrigued. 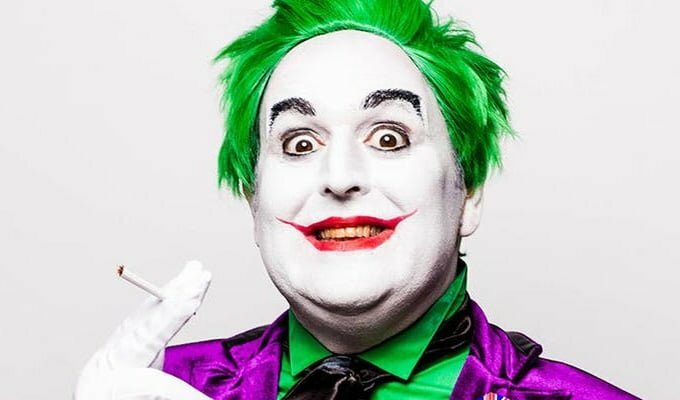 Justin Moorhouse –‘Northern Joker’ hammers out a serious of no nonsense routines on family, kids and every day life which are honest and completely down to earth. He charms his audience who instantly recognise the scenario’s in their own life as he continues at a fast pace, never stopping apart from the occasional sip of water and glance at his watch to check he’s not over running. The crowd love it as he pokes fun at a few of them living in the south. Apparently, his kids don’t need him anymore, delicate subjects are met with – ask your mother! Further tales of naivety, fish platters, mums break-dancing outside Lidl and his theory of what is the gateway to the netherworld are all packed into an hour of relentless fun and laughs. In a room the size of most people’s bathroom Julian Dutton delivered a lovely solo performance as the actor John Le Mesurier in a self-reflective piece. The Daily Express is coming to interview him on his life and Le Mesurier stumbles through a monologue of stories to tell them, filling his glass with whisky as he goes along, at times becoming quite melancholy. His ramblings take in the breakdown of his marriage to Hattie Jacques and his second wife Joan’s affair with his best friend Tony Hancock. 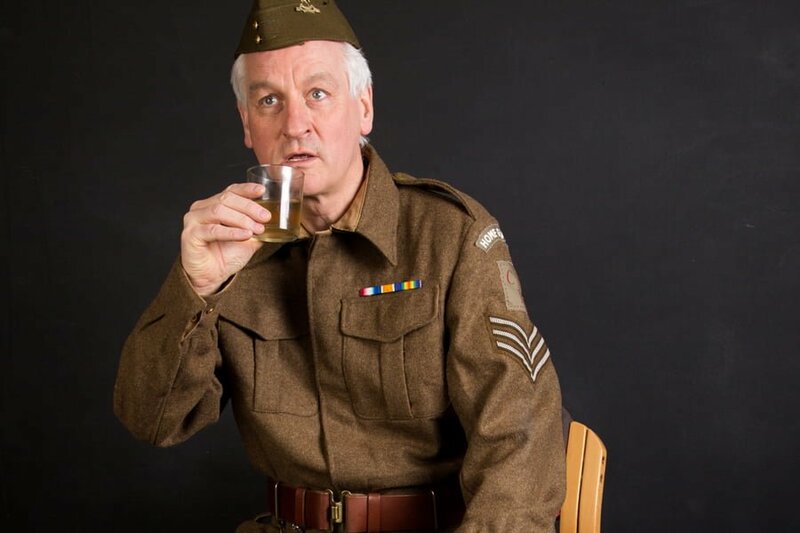 Le Mesurier is best known for his part in the BBC sit-com ‘Dads Army’ but appeared in numerous films beforehand without taking a leading role. It was 1968, Freddie Joachim, Le Mesurier’s agent, rang him up to offer him the part. “Oh, and can you run?”, he asked. “Of course, I can’t run,” replied Le Mes, “but listen, I remember the real Home Guard, and I never saw any of them run – except possibly to the pub’. 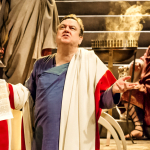 Dutton a former impressionist, whose award-winning writing on radio & television particularly with artistes Alistair McGowan & Jon Culshaw, is planning a 60-date tour with the play. 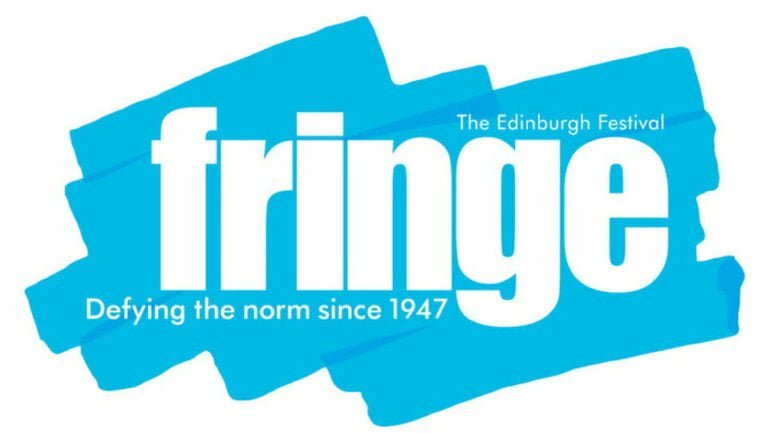 Dom Holland working the free fringe at the Voodoo rooms is playing to packed audiences with his crafted observational humour mixed in with stories of his now famous son Tom Holland who plays ‘Spiderman’ in the Hollywood franchise series. 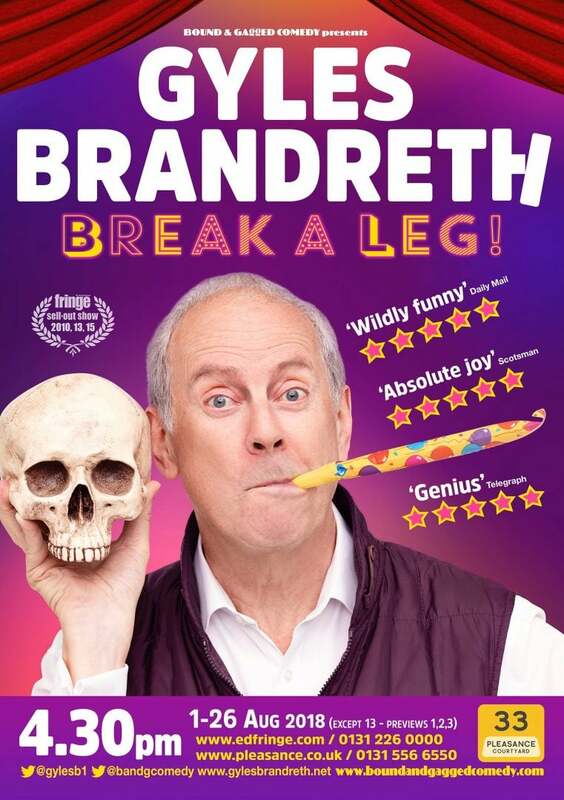 Gyles Brandreth: ‘Break A Leg’ gives a splendid performance in this solo show of theatrical anecdotes beautifully delivered by this ever popular after dinner speaker who has entertained at many a corporate function. Now in a theatrical setting he uses the stage well, moving from one side to another and occasionally breaking in to song to tell his audience of a wanted stage career. Along the way he drop’s names left right and centre whose he’s met and spent time with from Laurie Oliver to Richard Burton. His performance helped build a bridge with younger members of the audience who didn’t know many of the names being dropped. This former MP (1992 -97) even joked about being voted out by his constituency, admitting he realised he had no chance when his wife put the house up for sale before the election. 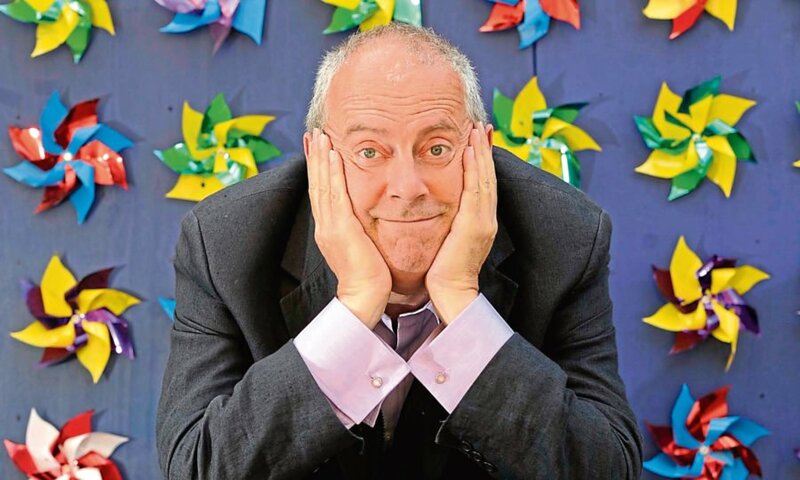 Brandreth has a marvellous theatrical speaking voice remembered by many for his jumpers on Breakfast TV-AM and in Countdown’s Dictionary Corner. Although you can well understand those that find him irritating. As another critic observed ‘His quick wit, timing and connection with the audience are the equal of a top comedian. Maybe this Jack of all trades missed his true vocation’.